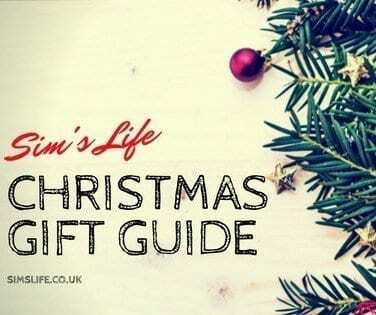 To kick start to the countdown to Christmas and celebrate the launch of the Christmas Gift Guide, the lovely people at Drumond Park are offering Sim’s Life readers the chance to win one of the hottest games of the year! Snotcha, aimed at children aged 5 years plus, is a highly entertaining game that involves lots of hilarious sneeze spraying action. For 2 – 4 players, this is a game for all the family to enjoy as each player takes a turn to find out who Snotcha sneezes at. The tension will build as the ‘sneeze’ pressurises with each press down of his nose and will no doubt be accompanied by very excited squeals and giggles from everyone playing! You may well stay dry, you may well be covered in Snotcha’s wet sneeze, but don’t worry – it is only cold water! Fill the nose with water prior to starting the game. If you are sneezed upon, then you are out of the game – the winner of the game is the last person standing without a wet face! Batteries are not included with the game, which requires 2 x AAA batteries, so definitely stock in up in time for Christmas. Snotcha has an RRP of £24.99 and is available at Amazon and toy retailers. To be in with the chance of winning your very own Drumond Park Snotcha game, simply use the Gleam entry form below and ensure you answer the giveaway question by leaving a blog comment below. Head over to Manchester Mummy to win a Who’s The Dude game from Drumond Park. Giveaway ends at midnight on Sunday 5th November 2017. The winner will receive 1 X Snotcha game from Drumond Park. With my family on a festive break over in Lapland! My ideal christmas is what I already do, spending time with my family brings me happiness! id spend it at home with my family playing games and eating loads! in the evening we would have a movie marathon! We always have our ideal xmas….we spend the day with my close family at my house and my husband cooks the turkey ! Quite simple, with all the family at home. Spending Christmas Eve cosy on the sofa watching Christmas films while eating pizza and sweets then the big day seeing all the family and having a huge dinner. An ideal Christmas is a quiet one, no rushing around and all the family together. Hawaii, feet up, peace and quiet! in the Maldives! on the beach with a the family! At home, or somewhere sunny, with my whole family. I would love to wake up on Christmas morning with my family at Harry Potter World Orlando!!! Hogwarts at christmas is amazing! But Snotcha’s full of Christmas wheezes. Means every minute will be a lark! at home with the children, no visiting and a foot of snow! My ideal christmas is at my own house with my husband and children staying in our new xmas pjs all day eating lots of food and playing lots of games. No stress for cooking and cleaning for anyone just us four together – oh and if it heavily snowed a winter walk and sledging would be even better! My snotty daughter would love this game! With my family on a cruise around the Caribbean. My ideal Christmas is being at home with the family. Playing games with the kids all day, and no fighting! Just a really peaceful day with the immediate family, enjoying some time together. No phones or interuptions, just everyone having a nice time! In our new house, which we’ll be doing this year. my ideal christmas will be happening this year… we have just bought a new bigger house so we now have the room to do it properly! the kids can wake us up as early as they like… we go down and i put the turkey in first then we start opening presents! the kids get to play all morning, then we pop to visit my nannan and then my hubbys grandad..
we get home to have dinner at 2pm. then from 4pm its an open house and anyone can visit and i put some snacks on for everyone to pick at!!! Would love to see the Northern Lights at Christmas! At home with family, nice Christmas dinner with all the trimmings. Be even more perfect if it as a white Christmas and we could build a snowman after lunch. Doubt it will happen now due to global warming, it’s more likely to snow on Valentine’s day! Tucked up in front of a roaring fire, watching a Christmas classic. Snow would be nice too. ideally i wouldn’t be in debt, skint and stressed out. god, is it really that time of year again. At the north pole with Santa! At home in my pyjamas with family. At home with hubby and the kids with a huge turkey roast! Just being with all the family. Eating and opening pressies. I would spend Christmas surrounded by my family in a luxury hotel with all the trimmings! Sailing around the med on Cunards QM2 again. I’d love to go to Disneyland for Christmas but my family prefer to stay at home! My ideal Christmas is having the whole family together, the whole family my mum, sister, my 2 girls, the mr, his mum and dad, sister and her partner, all our nieces and nephew and his Nan. Now having all the family together would be fantastic. all the family and no fighting! My ideal Christmas would be spent as usual, but I’d love to be joined by some of the family members that we’ve lost contact with! My ideal christmas would be a lovely meal with my family. With my family indoors. Opening presents, watching Christmas TV and eating good food. With all the family and pets at home – but with a chef! With all my family at home. We spend the morning with the kids opening presents, with various relatives visiting to see us for a christmas drink, then congregate at someones house for a hectic family dinner that leaves everyone stuffed and happy! After a snooze we find a festive film and pull out some new games from the kids presents to play and spend the evening trying to teach Grandad the rules! I can’t wait!! With the fa,ily, eating, drinking and playing games. Have fun together. My ideal Christmas is what I do every year, watching kids get excited over presents, have my dinner cooked for which in itself is soo nice, spend the day with my family and drink alcahol. The only thing I would change is how early the kids wake up, my eldest woke up 2.30am last year! Would love to take the kids to Disneyland, Florida – would be amazing. My ideal Christmas would be all my family together and just having a good time and making memories. This year, my ideal Christmas would be Iceland or Finland in a log cabin with my other half. Just for something cold, festive and different to the norm! I would spend it in lapland! I would spend it with all my family as we never all get together at the same time. I would spend it on a beach somewhere hot and warm. We would have Christmas dinner at a nice restaurant / hotel where we don’t need to worry about anything! In a log cabin, snow all around, delivery of lots of food and drink and just us. Nothing else. In Lapland with my son! In a log cabin somewhere in Switzerland, no screens, just family time. My ideal christmas would be spent at home but with someone else cooking. Early present opening, nice walk after lunch, chill out with a good film after. Definitely in my pyamas all day with someone else cooking the christmas dinner and cleaning up the sea of wrapping paper so that I could enjoy the day with my girls rather that spending it running around like most days of the year. With all my family and someone else doing the cooking for a change!! Mine would be fantastic just being with my family and enjoying some quality time. On the beach somewhere hot! A proper snowy winter wonderland. The problem is, when we get snow, we hate it as we’re trying to get around doing our business but it gets in the way. So it’d have to be a winter getaway. Maybe go visit santa. Would like to go away with the family to a “chocolate box cottage” with a roaring fire and snow outside for Christmas Day. Of course the dogs would have to come with us (hard when there’s 3 of them) and we would need a large “cottage” but it would be lovely to have a “proper” snowy Christmas for once. My ideal Christmas would be spent at home with all my family, we’ll have lots of presents, a beautiful dinner with all the trimmings, all the food and drink you can eat followed by Christmas movies in the afternoon/evening. This year is my daughter’s first Christmas. My ideal Christmas is at home with my family nothing better than that. I would love to have my Mum and my brother around Too but they live in Madeira, Portugal and this year we can’t be together. My ideal Christmas would be just a simple one. Just being surrounded by family and spending time with them. A huge family get together, lovely christmas dinner, log fire, games and then a snooze. My ideal Christmas would be with all my children at home. At home with the family playing lots of games! At home with my family with a chef to cook Christmas dinner! my ideal christmas is to be surrounded by family having goof food playing party games. My perfect Christmas would be hosting from our house from the first time, inviting my family round and seeing how happy my son is. My ideal Christmas would be all the family round one massive table eating Christmas dinner together. My idea Christmas is just waking up and seeing my beautiful little man’s face when he sees all his presents and just being him. That’s all I need. All cosied up at home with my nearest and dearest, fire roaring, lots of lovely food and cuddles!